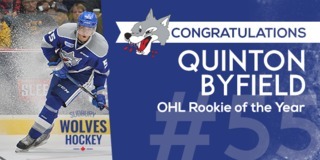 The Sudbury Wolves will return to action at the Sudbury Arena this Friday night when they host divisional rivals, the Barrie Colts at 7:05pm. Puck drop for evening games has moved 5 minutes this season to 7:05pm. 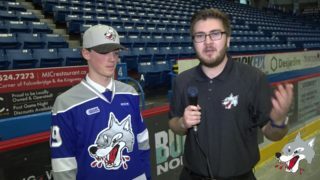 The Wolves will then return to action Sunday afternoon in a matinee match-up to host Northern Rivals, the Sault Ste. Marie Greyhounds at 2:00pm. The Colts hold a record of 1-1 after the opening weekend as they defeated the Ottawa 67’s by a score of 11-2 and fell 5-2 to the North Bay Battalion. Friday’s game is sponsored by 2-1-1 United Way who will be on hand to greet fans upon entrance to the game, support a fun filled t-shirt toss in the 1st intermission and cheer on the Sudbury Novice Lady Wolves in second intermission mini-game action! 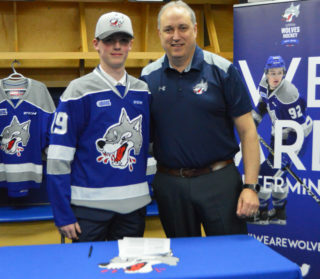 The double-header weekend continues as the Wolves will host their Highway 17 rivals, the Soo Greyhounds Sunday afternoon in the first match-up of the BELL CHALLENGE CUP. The Greyhounds also have a record of 1-1 after the first weekend of regular season play. 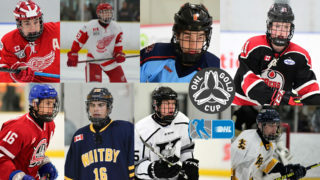 The Greyhound’s roster features seven NHL prospects including Philadelphia 2017 1st round selection Morgan Frost. 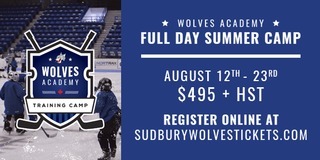 Sunday’s game is sponsored by the Sudbury Police Association who will be on-hand with prizes and giveaways for lucky fans. Fans can visit their display in the lower concourse for more information. Prior to this weekend’s home games, the Wolves will head east down Highway 17 for a rematch against the North Bay Battalion at 7:00pm. Fans can follow the Wolves on the road in a number of different ways this season. 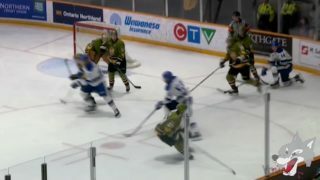 Fans can listen to the live play by play on the radio at 96.7 CKLU or mxlr.com/sudburywolves on the Sudbury Wolves App. In addition to listening to the game, fans can tune into Eastlink TV Channel 10 or 610 to watch the broadcast.